Editorial: Welcome to Cook County, Mayor Bloomberg. You're getting played on the soda tax. 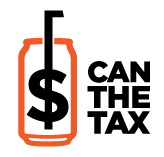 Letter: Cook County soda tax: For health or for profit? Laws, taxes and ads -- Are they really making a difference? Letter: What will the soda tax do to employers in Cook County? Letter: When will Illinois politicians learn that taxpayers aren't ATMs? Editorial: How will Cook County survive without the soda tax? Let's find out. Editorial: Less salt. Less Sugar. And easy on the Nanny State.